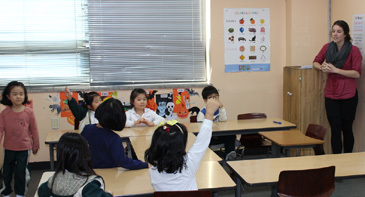 The director of a Seoul language school has criticised the South Korean government for their “crazy” policies towards English teaching in the national public education system. 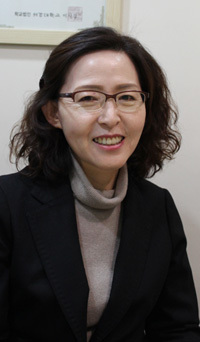 Sogang Language Program (SLP) Director Michelle Kim (or Kim Mi-Haeng) has been head of the Eunpyeong branch for 13 years. She hits out at the problems she sees in South Korea’s public schools. Director Kim has also seen her own role as an educator in the private sector under attack by unfair legislation. Even though SLP’s 250,000 won (230 US dollar) monthly fees are out of reach for most parents in the region, Mrs Kim understands the need for local community outreach programs in Eunpyoung-gu district. This became particularly important to her after a visit to Eunpyoung Angel’s Haven, an orphanage for disabled children. The experienced educator will provide classes twice a week for the disadvantaged youngsters. And Mrs Kim’s focus is not always within Seoul, or even South Korea. She also raises money to help improve Nepalese education. 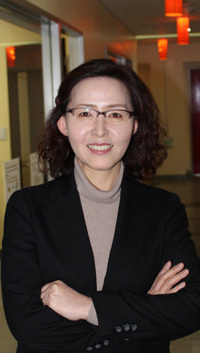 This was inspired after her graduation in 1989 when she volunteered to teach in Nepal for two years through the Korea International Cooperation Agency (KOICA). She regularly visits the country to help teach at their partner schools. And Director Kim welcomes how each visit is a change in pace from her busy home town. As a well-travelled education expert, she shares her experiences in Nepal with the 500 kindergarten, elementary, and middle school students that attend SLP with its 17 classrooms and state-of-the-art facilities. 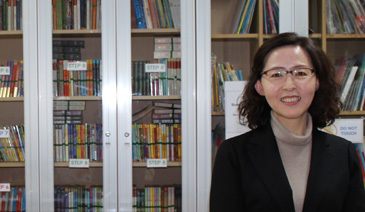 Director Michelle Kim (Kim Mi-Haeng) of Sogang Language Program (SLP)'s Eunpyoung-gu School stands in the school's library. 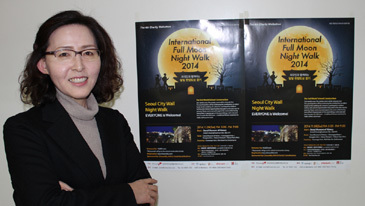 The students are already helping with fundraising by taking part in a charity full moon walk along Seoul city wall on Saturday Nov. 8. As well as involvement in projects such as this, Mrs Kim believes that English education itself can be of great benefit to students. The director thinks that the next generation should be prepared for the modern world. And she has a stark message for the South Korean authorities’ inaction over their English education policy. SLP Director Michelle Kim poses by the poster of the upcoming event she organized to help raise funds to build a school in rural Nepal. There are over 60 Sogang Language Program schools in South Korea. They are private English academies (Hagwons) that provide immersion and intensive training to children from elementary to advanced level. Their language teaching is based around the four principles of responsibility, research, respect, and reflection. The Korea International Cooperation Agency is a government department which helps deliver South Korea’s grant aid and technical cooperation programs to developing countries. They facilitate education development by building schools, colleges, universities, and training centers; shaping curriculums, improving education policies, and training teachers. The Federal Democratic Republic of Nepal is a landlocked country in South Asia with a population of around 27 million. It has eight of 10 of the world’s highest mountains, including Mount Everest, or Sagarmatha in the Nepali language. Nepal is currently ranked 145th out 187 countries in the Human Development Index with an average literacy rate of around 70%, as of 2011. This charity event hopes to raise funds to build a school in rural Nepal for children lacking in educational opportunities. It starts at 5 p.m. on Nov. 8 (Saturday), 2014 at the Seoul Museum of History. The entrance fee is 10,000 won (some nine US dollars) and all proceeds will go to the school construction charity. 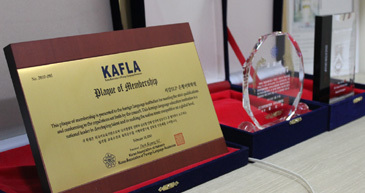 The event is sponsored by Chosun Biz magazine and the Korean Association of Foreign Language Academies (KAFLA).